iSHSHIT: BGR: iOS 5 Beta 8 due this Friday, Gold Master September 23? BGR: iOS 5 Beta 8 due this Friday, Gold Master September 23? We believe that build is what will be loaded onto the already-assembled iPhone 5 hardware currently waiting for final software in China. Apple will then request that carrier partners give technical acceptance to the Gold Master by October 5th if there are no issues with it. It’s unclear at this stage what might happen should Gold Master fail to pass technical acceptance, but the publication speculates that “odds are it will still be loaded on the iPhone 5 at launch with a software update made available almost immediately following the device’s release”. Boy Genius Report is known for their deep connections with wireless companies in the United States. 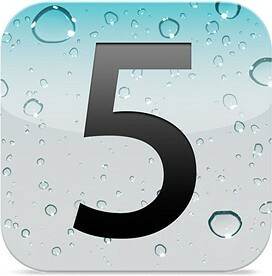 If I believe what we heard, the iPhone 5 will be released on October 15. Note that October 15 is a Saturday, an unusual day for such a high-profile global product launch. Whichever the case, a growing number of leaks are now pointing at an imminent launch of Apple’s next handset. Just this past week brought us the first public image reportedly taken with the iPhone 5′s eight-megapixel camera and more clues of Sprint iPhone based on a blackout for a major phone launch for the first two weeks of October. Said leaks arrived on the heels of the much-reported lost iPhone 5, a bizarre repeat of a similar incident last year when an Apple engineer mistakenly left an iPhone 4 prototype on a bar stool. The device found its way to a high-trafficked tech blog which revealed the exterior design of the iPhone 4 to the world weeks ahead of its formal introduction at WWDC 2010. Looks like iPhone 5 will be Apple’s most popular iPhone yet. More than 22 million iPhone 5s are being manufactured for the fourth quarter, market sources tell. 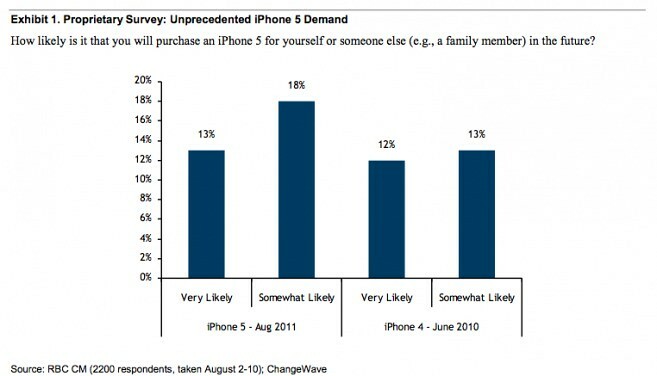 In addition, the latest ChangeWave survey shows “unprecedented” demand for iPhone 5, per the below chart. Chart courtesy of CNN Money’s Fortune blog. Click for larger.